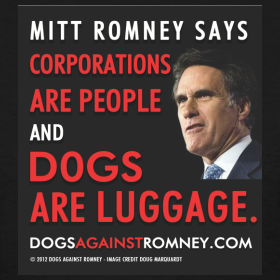 Corporations are people...: © Dogs Against RomneyWhile some would say America is going to the dogs, there are others who wholeheartedly agree with them, and they're happy about it. 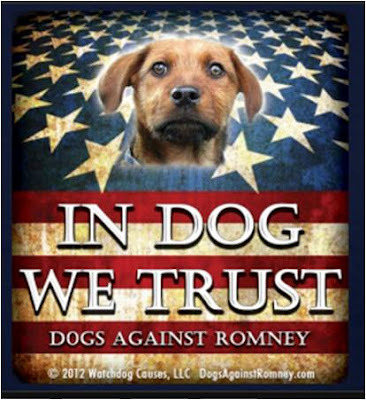 In the 2012 presidential campaign, it looks like Mitt Romney may have more trouble getting dog lover votes than women's votes, and 2012 just might be the year of the pet activist. City, regional, and state pet political action committees (PACs) are being formed all over the nation to lobby for pet rights and support political office seekers that support their causes. 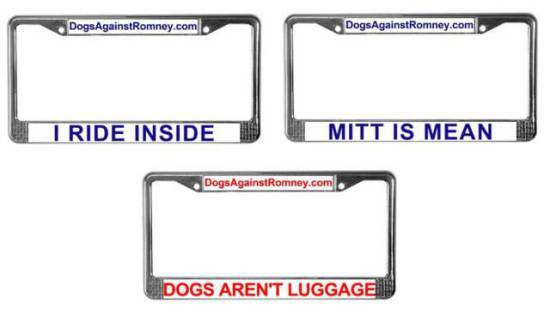 But Dog's Against Romney is not a PAC; it's a PACK. 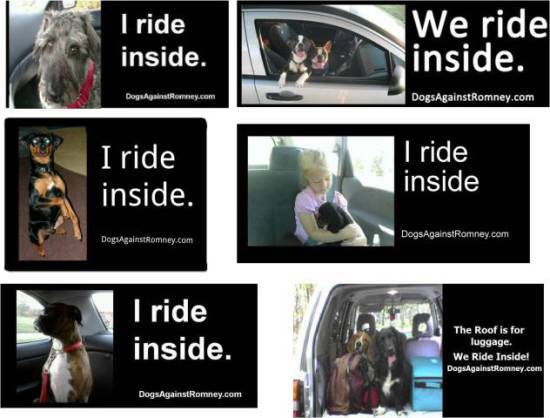 It plans to achieve its goals by selling 'official' Dogs Against Romney t-shirts, coffee mugs, buttons, bumper stickers and, of course, dog apparel! But, it's going to use its profits to support PACK-recommended pet advocates, shelters, and rescue centers. 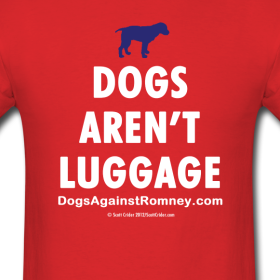 Dogs Against Romney sells its stylish, 'official' wear for you, your dog, your cat (! ), and your car - not for the purpose of supporting a particular candidate with its profits - but for the purpose of supporting pet awareness and rescue organizations. And its Super PACK, its Facebook fans, gets to vote for the organizations that benefit from its sales.